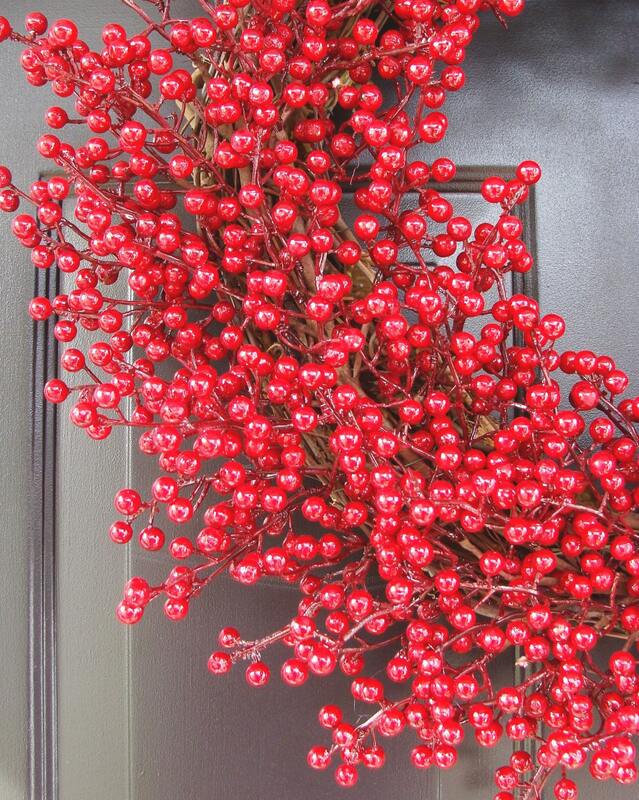 Unlike other berry wreaths these faux berries weather well against rain and cold conditions! 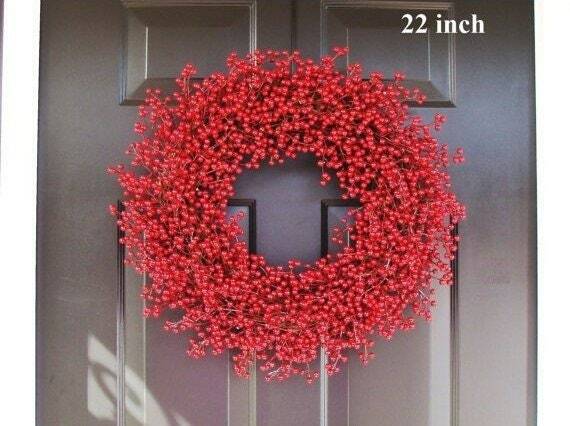 This Christmas wreath is loaded with several thousand miniature artificial red berries. 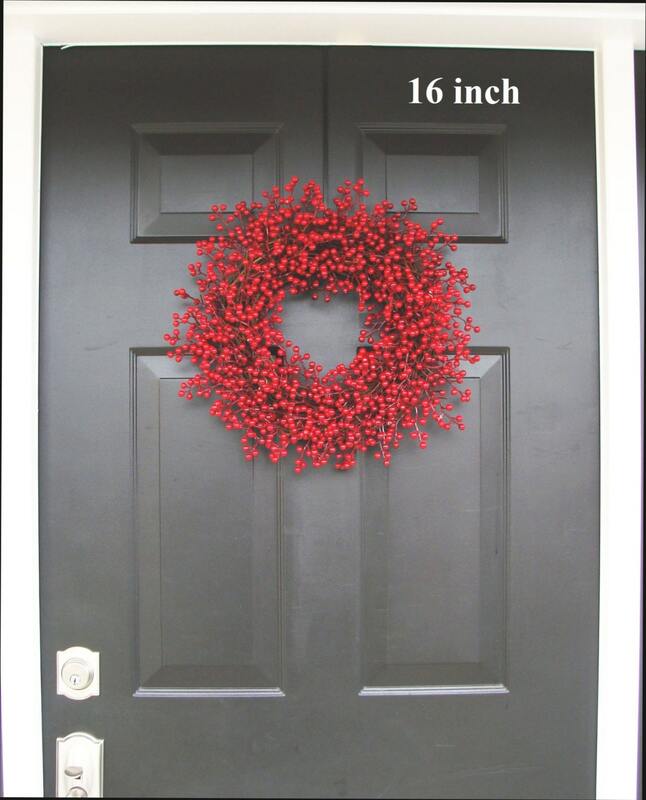 This extra large wreath comes in sizes ranging from 16-24 inches. 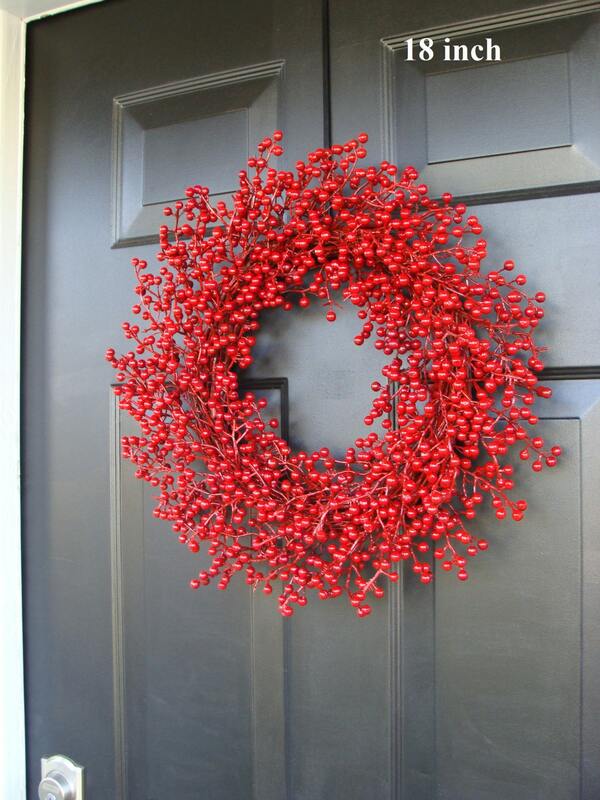 This wreath is perfect for January, allowing a lovely transition from Christmas through Valentine's Day! As described, Thank you! 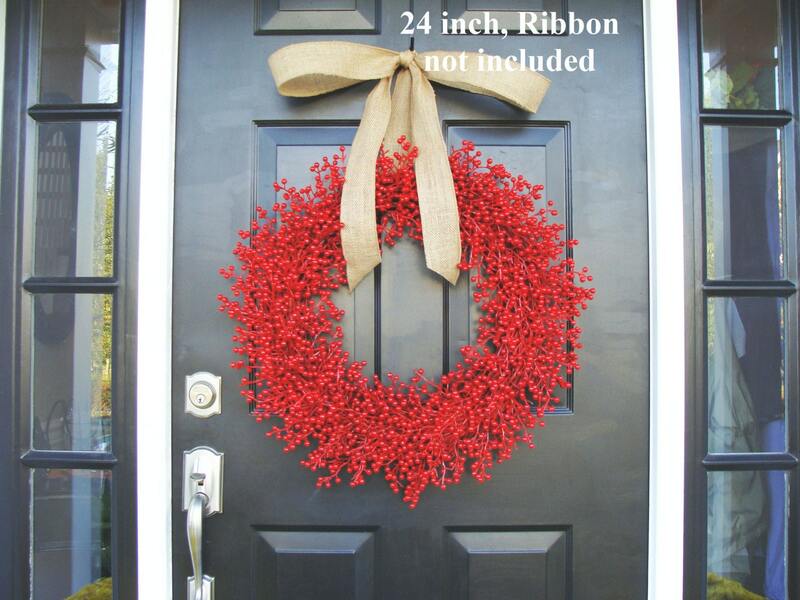 Stunning Christmas Door Wreath!!!!!!! Thank you So Much! Gorgeous 20 inch wreath that I can use for many different seasons! Came nicely packaged. Will buy again in the future from shop!